The Carpet Specialists call was to help out with the waves that were showing in our client’s bedroom. 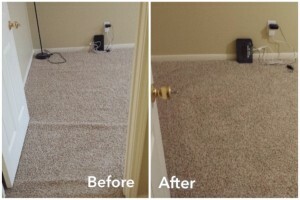 We always want to make sure that we do everything possible to avoid replacing the carpet and spending 1000s of dollars. Is your carpet buckling or rippling know the reasons for it and get the job of restretching carpet done.